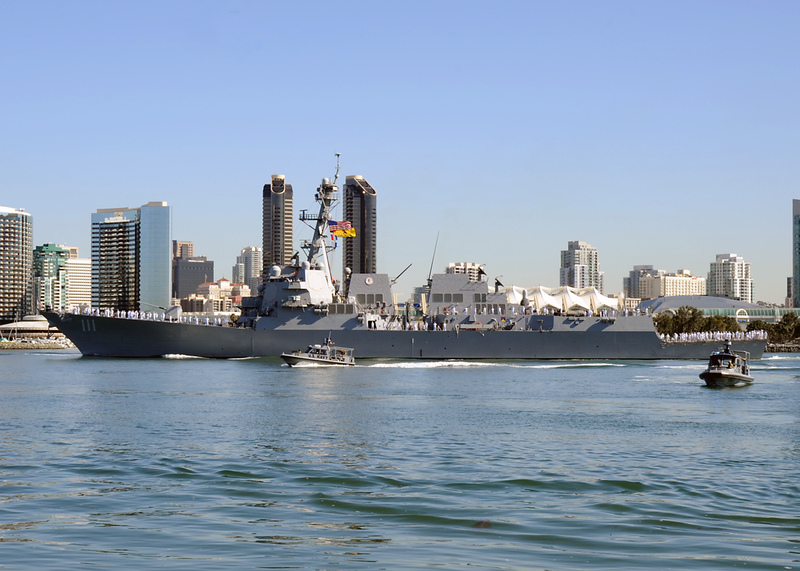 The San Diego-based guided missile destroyers USS Spruance and USS Decatur departed Tuesday for deployment to the western Pacific Ocean. 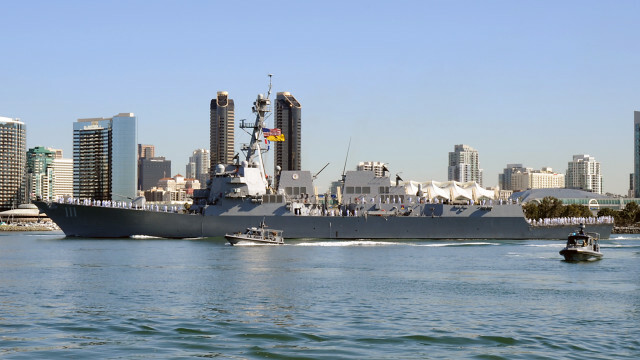 The ships will join up with the USS Momsen, a destroyer based in Everett, Washington, to form a Pacific Surface Action Group, according to the U.S. Navy’s Third Fleet. Detachments from Helicopter Maritime Strike Squadron 49, based at Naval Air Station North Island, deployed with the vessels. Navy officials said the ships will remain under the command of the Third Fleet as they conduct maritime security operations and missile defense. The 509-foot-long Spruance, which returned from its last deployment in April 2014, is named after Adm. Raymond Spruance, a cruiser division commander who substituted for the ill Adm. William “Bull” Halsey to lead an aircraft carrier task force at the Battle of Midway during World War II. The Decatur is the fifth American warship named for Stephen Decatur, noted for his heroism in the Barbary Wars and the War of 1812. It came back from its most recent deployment in April 2013.